Loggains was Adam Gase's offensive coordinator last season with the Dolphins. Adam Gase named Dowell Loggains the Jets’ offensive coordinator and quarterbacks coach. This move was expected because Loggains and Gase worked together in their previous two stops. 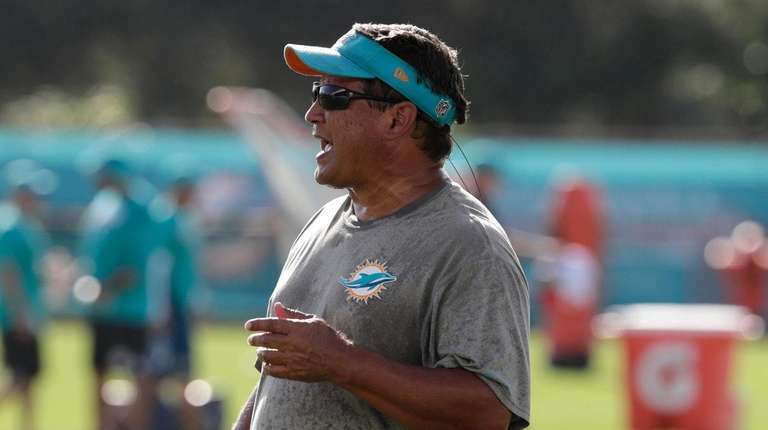 Loggains, 38, was the Dolphins’ offensive coordinator last season in Miami, where Gase was the head coach. Before he got the Dolphins job in 2016, Gase spent a season as the Bears’ offensive coordinator. Loggains was Chicago’s quarterbacks coach. Gase will be calling the plays and working closely with Sam Darnold. Loggains will be his right-hand man. All three Jets coordinator spots now have been filled. Last week, the Jets hired fiery Gregg Williams to be their defensive coordinator and announced that they retained special teams coordinator Brant Boyer, who led the team’s best unit this past season. Loggains’ first NFL job was as a Cowboys scouting assistant under Bill Parcells in 2005. Loggains then spent eight years with the Tennessee Titans, including two years as offensive quality control coordinator, three as quarterbacks coach and two as offensive coordinator. He was the Browns’ quarterbacks coach for one season before being hired for the same position with the Bears in 2015. When Gase left for Miami, Loggains served as Chicago’s offensive coordinator for two seasons.